Wicked Chickens Lay Deviled Eggs……. So wicked chickens don’t REALLY lay deviled eggs, rather their wrath personifies itself in the form of spurring, wild running, aggressive pecking, 4:00 a.m. crowing sessions….among other things. But my blog is not just about those moments of fowl folly. It is about life in the country, life as a homeschooler, life as a baker, life as a gardener, life as a daughter, wife, friend, mother and the balancing act it takes to keep it all together. And it’s about those moments where it doesn’t stay together. I find life humorous, tragic, rewarding, challenging and fun (sometimes all in the same day or hour!). I hope you join me in my journey, along the way I hope to make you laugh, fall in love (with my chickens), discover fabulous new food, learn a thing or two about life in the ‘boonies’, try some new things (such as making butter in a mason jar) and most of all….have FUN! And so we begin….allow me to introduce you to Roger. Roger-the original ‘Wicked Chicken’. What began as a loving, tender relationship in his chick-hood quickly transformed into my briefly lost Christianity followed by a string of words my grandmother would faint to hear when he first attempted to chase down my daughter, who was 2 at the time. On second thought, my grandmother probably wouldn’t have fainted, she wouldn’t have known what those words meant anyway. Thank you Lord for grandmothers. 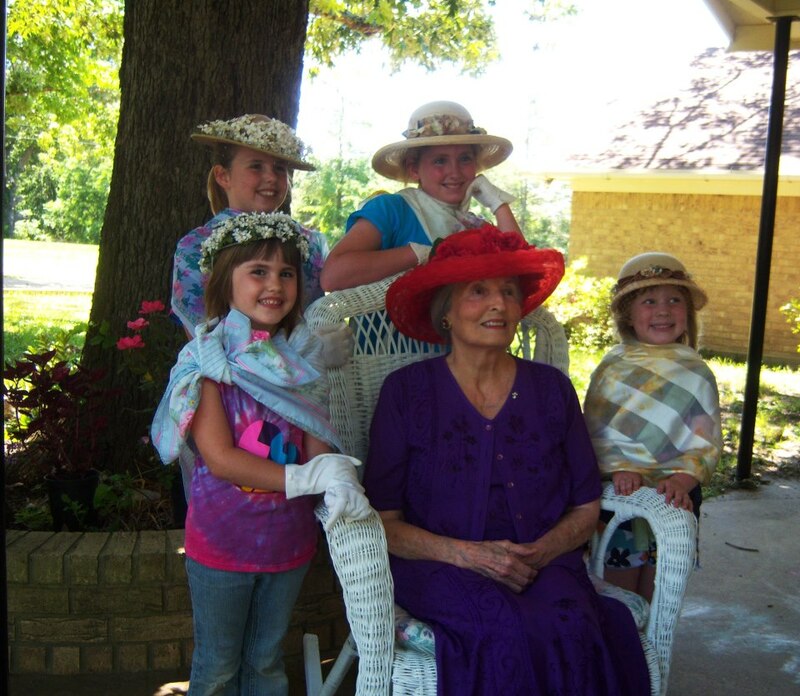 And here is my grandmother, I’ll let you guess which one she is…. About one week later a second offense occurred in which I returned the assault by removing both my flip-flops, flinging them at his evil, beautifully combed head (and missing) which ended in the Decision. Roger had to go. Now, ask anyone in my tiny town and they will tell you, I’ll take out a chicken in a heartbeat if no other route can be found. 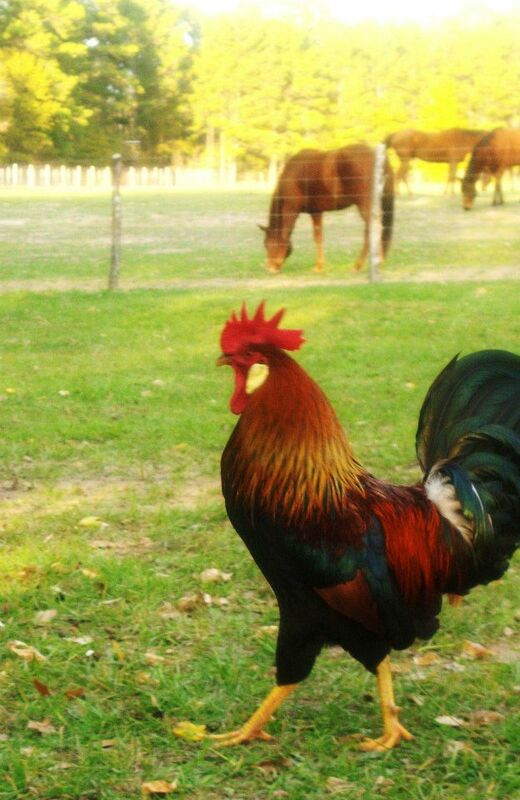 Lucky for Roger (or perhaps unlucky in hindsight) my mother was in need of a rooster. So Roger made the big cross-county move to my mothers coop. New hens! New life! No little kids! Unfortunately for Roger he never got to sing the Hallelujah chorus. A fox got into the hen-house and promptly ate him. Such is life for a truly wicked chicken! Love the photos and the writing! I predict you and your adorable wicked chickens are going to be a great hit! Thanks so much for taking the time to read it, I had a really good teacher!